An effective board will inspire donor confidence and attract resources, so it is important to recruit the right people. 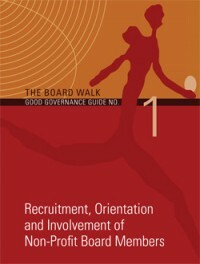 This book shows you how, and – once they are serving on the board – how to prevent them from becoming bored members. Click here to purchase this publication.